Continuing on in my Boba Fett series, the third time Boba Fett appears on screen is in “Return of the Jedi” (a/k/a Star Wars Episode VI). 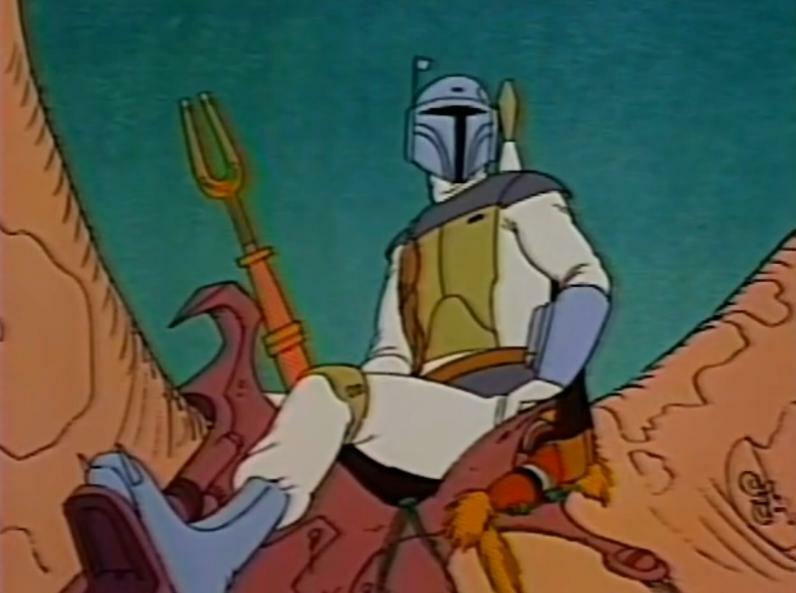 Following up on his cinematic debut in The Empire Strikes Back, where he appeared single-minded about getting the bounty, here, Fett seems to be merely along for the ride with Jabba the Hutt. It’s not really clear why Boba Fett is hanging around on Tattooine at Jabba’s Palace, since he’s already delivered Han Solo and [presumably] collected his cash. Nevertheless, we see Boba Fett enjoying himself with the ladies, so perhaps Jabba’s Palace is a great hang-out for Fett when he’s not pursuing a job. It’s also possible – but super unclear – whether he could be serving in a role as adjunct palace security. 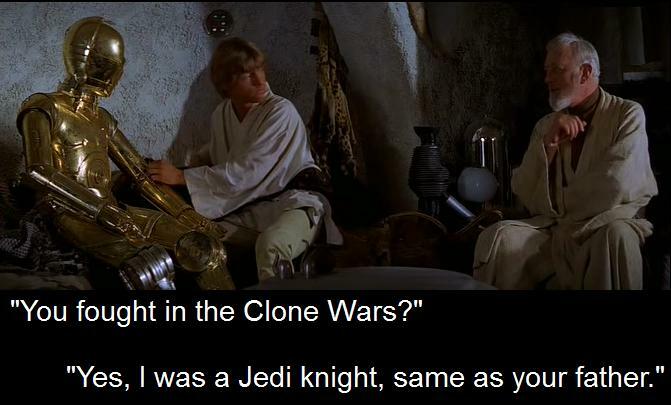 One one hand, he’s always armed, so he’s good to have around to protect oneself, which makes sense why he’s standing near Boba Fett when Luke Skywalker shows up. Otherwise, why bother partying if one’s fully armed? On the other hand, perhaps he’s just hanging out and, of course, he’s always packing, but it doesn’t mean he’s still on Jabba’s payroll. What makes it further unclear is his reaction to the mysterious bounty hunter (Princess Leia)’s pulling of the thermal detonator. Fett immediately draws his rifle on this bounty hunter. This could be interpreted as Fett serving as some sort of adjunct security at the palace; or it could be interpreted as Fett trying to save his own skin. It’s very unclear. After negotiations are over, Boba Fett gives Leia/Boushh a respectful nod. I love that frikken nod! That nod says, “you threaten to blow everyone up including yourself just for a few extra credits. Respect.” I would be terrified of someone who negotiates with an explosive device. Fett just gives props. Badass. It is worth noting that when Princess Leia is discovered to be the bounty hunter, Fett is there in the background, although he has no further significance in the scene. When Luke shows up at the Palace, Fett is beside/behind Jabba (not clear if he’s there as security or as a VIP). 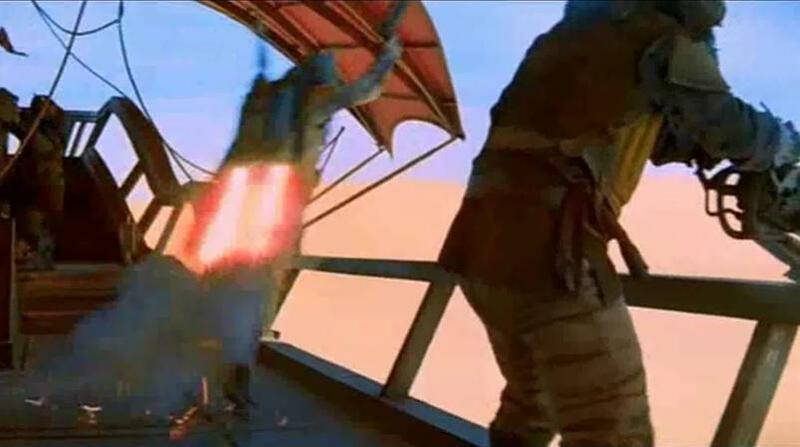 The next time we see Boba Fett, it’s on the sail barge in the desert and he’s blasting off with his jet pack to go fight, landing on the other ship, where he starts to shoot, but Luke swipes his lightsaber at him, cutting off his pistol. Then Fett shoots out a cable from his forearm, enwrapping Luke. Then a shot from the sail barge comes Luke’s way, which he repels with his lightsaber, sending it towards Fett, downing him on the ship. 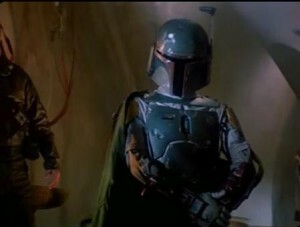 Fett starts to shoot from his forearm before Han Solo (who is nervous about his presence “Boba Fett?! ?”) accidentally hits him with some sort of spear, launching Fett’s jetpack and yielding a “What the…?” from Fett (notably, his only words spoken the entire movie), sending him flying into the sail barge and down on into the Sarlacc Pit…. In sum, it’s not clear what Boba Fett is doing at Jabba’s Palace, whether serving in a protective/security capacity on the payroll (kind of like a contractor) or merely hanging out there as a chill place. Either way, Fett is always ready for a fight, with his rifle/pistol in hand and ready to go. 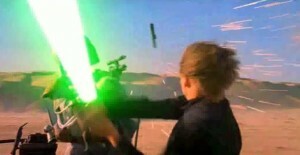 We also see some of his gadgets in action in the desert: with his jetpack allowing him to blast off from the sail barge on to the small ships (although it later malfunctions and sends him into the Sarlacc Pit), a rope that he is able to shoot out from his wrist, and a laser shot from his wrist. He’s got some neat gadgets! 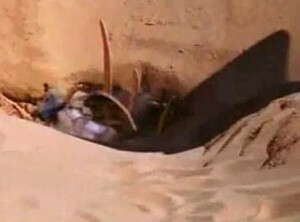 Unfortunately, he also seems to meet his demise in the Sarlacc Pit…. 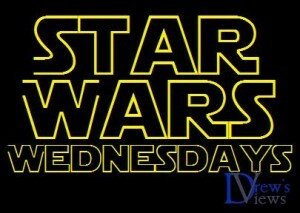 This entry was posted in Movies, Star Wars and tagged Boba Fett, Star Wars, Star Wars Wednesdays, The Return of the Jedi. Bookmark the permalink.